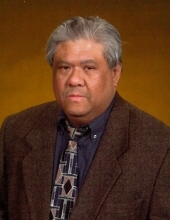 Joseph Ulanday, 62, passed away peacefully on Tuesday, Dec. 4, after a long illness. He is survived by his wife of 20 years, Linda Kirchner Ulanday of Lexington, and a brother, Jim (Jennifer Crabtree) Ulanday of Nicholasville. He was preceded in death by his father, Dr. Juan Ulanday, and mother, Amelia Ulanday, of Nicholasville. Joe was born in Manila, Philippines, on Jan. 24, 1956, and moved to the U.S. with his family at age 16. He attended Transylvania University and became a graphic designer, associated with Advance Duplicating and Insty-Prints from the 1970s until starting his BVM Printing Services in 2002. He later worked for Fayette County Public Schools and as a geology archive clerk at the University of Kentucky. Joe was a quiet man with a soft heart who loved his Catholic heritage. He was a founding member and served in various capacities of Pax Christi Catholic Church in Lexington and also belonged to Saint Luke Catholic Church in Nicholasville. Over the years he orchestrated special ceremonies with the Bishop and trained altar servers throughout the diocese. He was a member of the Serra Club, assisted in the Rachel’s Vineyard Ministry and helped establish the Eucharistic Adoration Chapel at Christ the King. Joe also loved to read, study history and closely follow the news, which contributed to his twisted wit. He was an avid fan of UK sports, the Bengals and the Reds and enjoyed playing pool until a neurological disease (PSP) led him to Springfield Nursing and Rehabilitation Center, where he was well cared for in his last 18 months. A gathering to celebrate Joe’s life will be held Sunday, December 9th at Clark Legacy Center, 601 E. Brannon Road in Nicholasville, starting with a rosary service at 1 p.m, then continue till 5 p.m.
A funeral Mass will be held at 11 a.m. Monday, December 10th at St. Luke Catholic Church, 304 S. Main St., Nicholasville. His ashes will be inurned at Pax Christi. Expressions of sympathy may be made to the St. Luke Zacchaeus Fund. To send flowers or a remembrance gift to the family of Joseph Magtibay Ulanday, please visit our Tribute Store. "Email Address" would like to share the life celebration of Joseph Magtibay Ulanday. Click on the "link" to go to share a favorite memory or leave a condolence message for the family.